Soterios Trambas was born in Arta Greece on July 17, 1929. After graduating from the High School in Arta, he graduated from the Theological School of the University of Athens in 1951. He then served as an army officer for two and a half years, and then as a preacher and catechist for two years in the Middle School and High School. On June 26, 1956, he became a monk at the Lemonos Monastery in Lesvos and three days later was ordained to the deaconate. On June 12, 1960, he was ordained to the priesthood and later that same year he became an archimandrite. From 1965 to 1968 he served as a chaplain in the Greek Army. Later in 1968, he was appointed to be the Chancellor of the Archdiocese of Athens and also Dean of the Cathedral in Athens. In 1973, he volunteered to serve as Dean of the Church of the Holy Mother in Papagou, Athens. In November 1975, he volunteered to serve the Church in Korea, and with permission from the Ecumenical Patriarchate, became Dean of the St. Nicholas Church in Seoul. In 1986, he was appointed to be the chairman of the Orthodox Eastern Mission. As chairman, he established churches in Busan, Inchon, Jeonju, Palang-ri, the Monastery of the Transfiguration of the Savior in Kapyung, a temporary chapel in Ilsan, and also missions in Hong Kong, Singapore, the Philippines, Indonesia, and India. In 1982, he established the Saint Nicholas Theological Seminary in Seoul for the purpose of training Asian believers for the ministry. In 1993, the Holy Synod of the Ecumenical Patriarchate elected him to be an auxiliary bishop to the Metropolitan of New Zealand, and he was given the title, “Bishop of Zela.” In 1995, he oversaw the newly established missionary foundation. “Exarchate of the Ecumenical Patriarchate in Korea” . In 2000, His Eminence also received a certificate and medal from the Mayor of Seoul acclaiming him as an honorary citizen of Seoul. 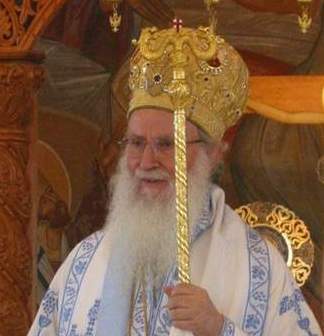 On April 20, 2004, the Ecumenical Patriarchate decided to elevate the Church of Korea to a Metropolitanate and on June 20, 2004, His Eminence Metropolitan Soterios was enthroned as the first Metropolitan of the Orthodox Church of Korea at St. Nicholas Cathedral in Seoul.